Taisho Roman is a term represents a unique culture of the Taisho period in Japan. 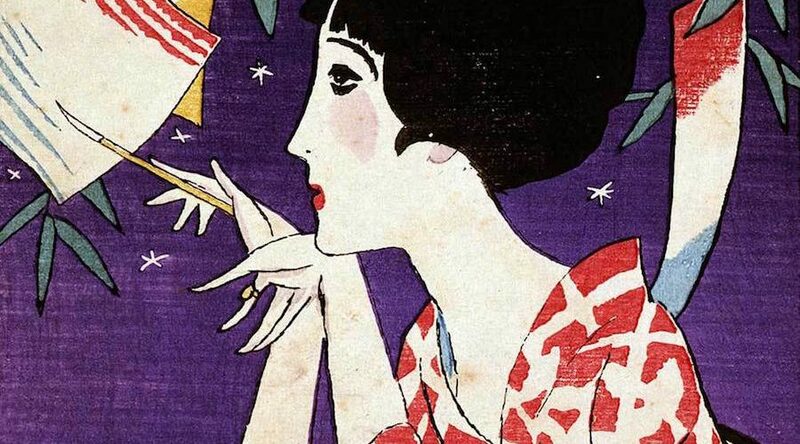 Let’s dig in and feel the air of the Taisho period with the help of a famous painter, Takehisa Yumeji. 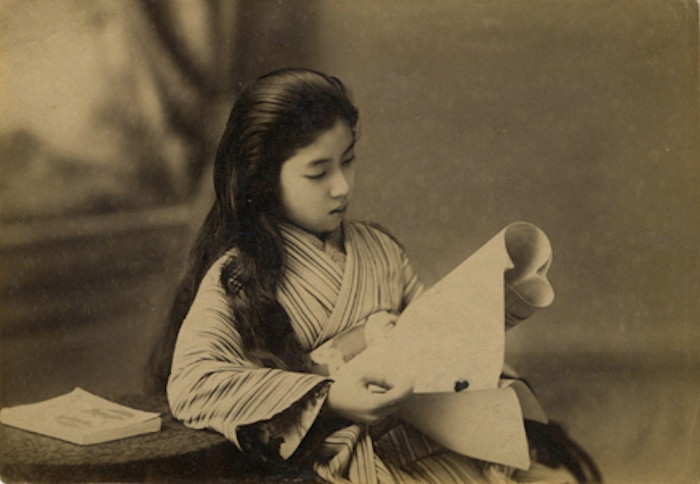 The Taisho period only lasted only 14 years from 1912 to 1926. It’s the shortest length of time in Japanese history according to Japanese periodization. This is the period the movement of the defense of the Constitution was really active, party politics was on the rise. Overall movement was called Taisho Democracy includes the advocation of the universal suffrage and women’s suffrage. In this time period, the Maintenance of the Public Order Act was promulgated with a sense of danger because of the broke-out of Russian Revolution and the prime minister was assassinated, Japan was in a highly volatile situation as well as other parts of the world. In 1921, Emperor Taisho lost his health and Prince took over his job and the Meiji-jingu Shrine was constructed due to the upward trend of longing the powerful Meiji Emperor and Empress Shoken. Also, Great Kanto earthquake hit in capital area but before long, Tokyo was restored. Many elder statesmen who were born in the late Edo period had passed away and monarchism in European countries was abolished as the result of WW1. The doctrine of Communism was gaining popularity due to the Russian Revolution in 1917, a lot of nation turned to be republicanism and had a tremendous impact on intellectuals to let them criticise capitalism and encourage the thought of communism and socialism. It was really a chaotic and dangerous time. 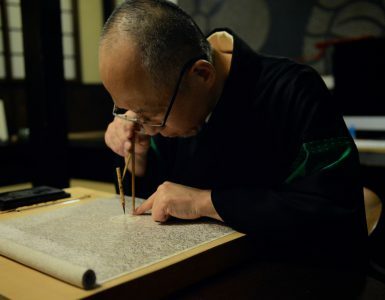 The Taisho Roman is a general term which covers the thoughts and cultural phenomena of the Taisho period. The famed author, Soseki Natsume　translated the word Roman into Japanese 浪漫. It usually represents that something is full of variety especially love affairs or often we say Men’s Roman meaning there is absolutely no practical value and even sounds irrational in what one’s doing but looks cool. The term was coined under the influence of the Romantic movement in literature and art during the late 18th and early 19th centuries that celebrated nature rather than civilization. It was the period that produced a thought which craves for the release of the individual and new ideals. The cultural characteristics of the period can be described in one word, modern. 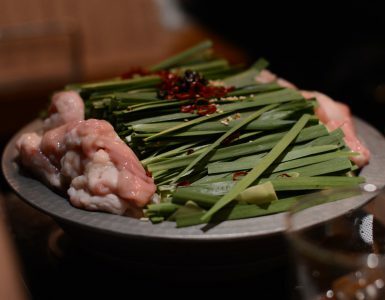 Along with the development of the modern cities and expanding of the economy, the city culture and the mass culture flourished which was called Taisho Modern. The Working Women appeared in many areas such as office ladies and telephone operators, clerks in the department stores and the bus clerks, waitress at the coffee shops and film actresses. The term Moga stands for a modern girl in western outfit and hairstyle. On the contrary to this gorgeous side of the culture, this pleasure-seeking atmosphere developed the slums, uprisings in general people. Especially, the establishment of the labor union and the association of the tenant farmers encouraged a labor dispute. 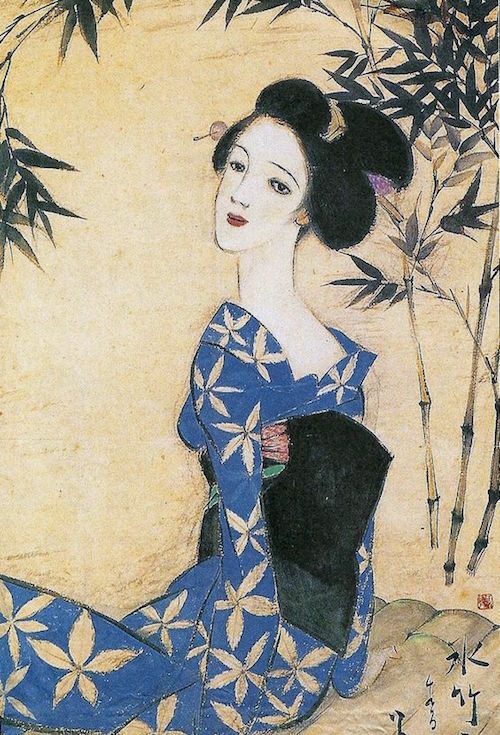 Yumeji was the painter who represents Taisho Roman, which expresses retro but modern air of the period. He was born in Okayama Prefecture and moved to Tokyo when he was 17. 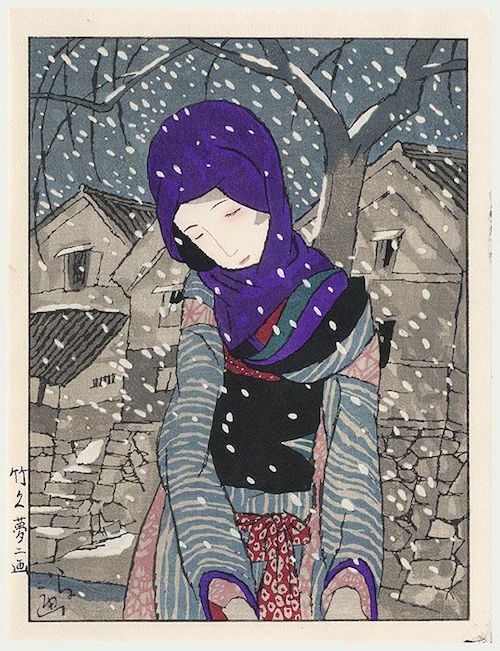 Yumeji learned painting himself and began working as a painter in 1905. 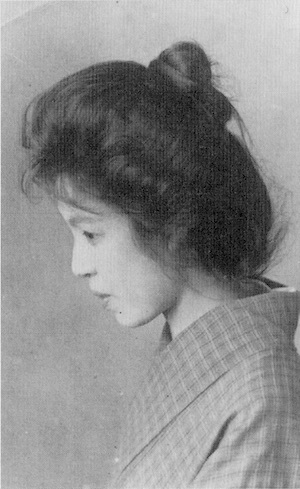 His collection of paintings in 1909 was a huge hit, Yumeji became a popular painter and the store he let his first wife Tamaki running that sold his prints, postcards, and picture books was also very successful. 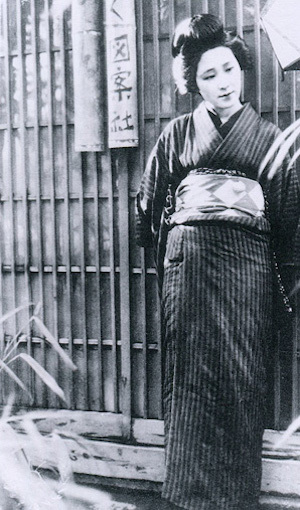 Yumeji had a lot of affairs with women and died at the age of 49 after he traveled mostly in European countries. 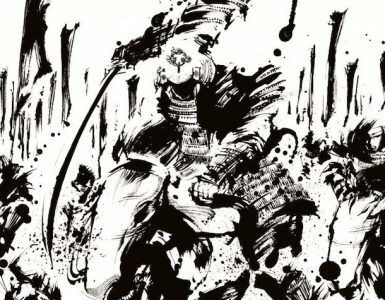 He left numerous women paintings in his unique style, which thought to be inspired by exoticism, art nouveau, and artists like Lautrec and Beardsley. He was a multi-talented artist who left wood-block prints and oil paintings of a man and a landscape, poems and songs. 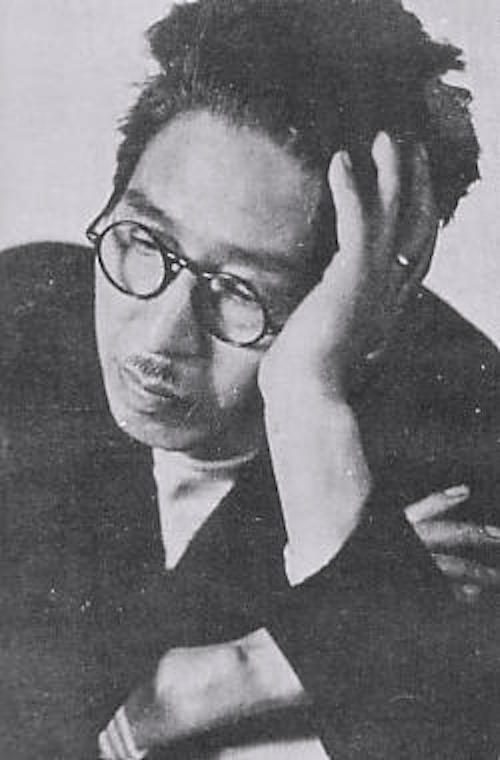 Yumeji also designed the packages and posters so he is considered to be one of the earliest time of a graphic designer. He has been with a lot of women and we can see his numerous expression of love in his diary and letters. Obviously, his love affairs inspired him to create new works. Below we see three women in his life who are often considered to be tremendous impact on Yumeji. She is the only woman who was married him officially in the record. 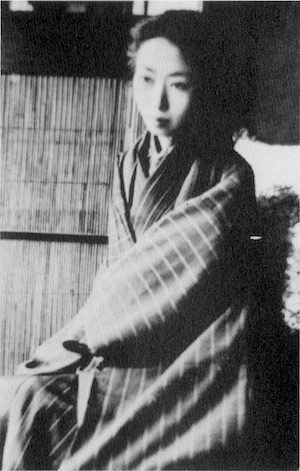 Tamaki was born in Ishikawa Prefecture in 1882 and married another man with two kids but she lost him and became a widow. She moved to Tokyo seeking support from her brother, began working at post card store and met Yumeji there. He came to see her at the store everyday and they got married after two months they first met. They got divorced after two years but they got together the next year, then parted again. 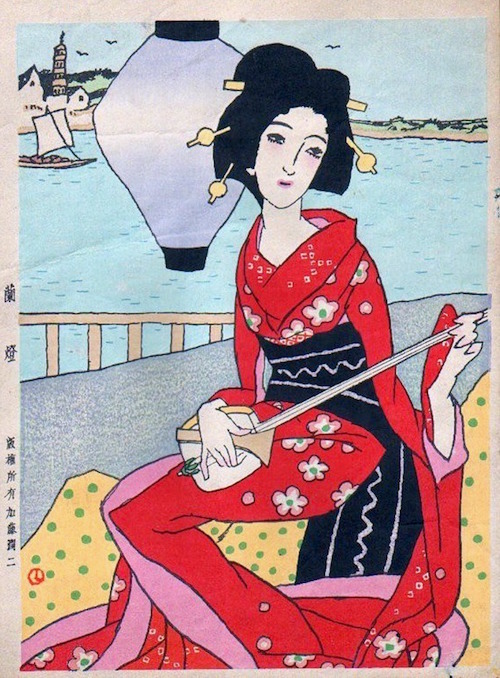 Yumeji met another woman who got his heart, Hikono in 1915. Still, he got jealous when he suspected that Tamaki was seeing Togo Tetsuharu (Seiji) who would become a well-known painter. Yumeji stubbed Tamaki’s arm and they split away. 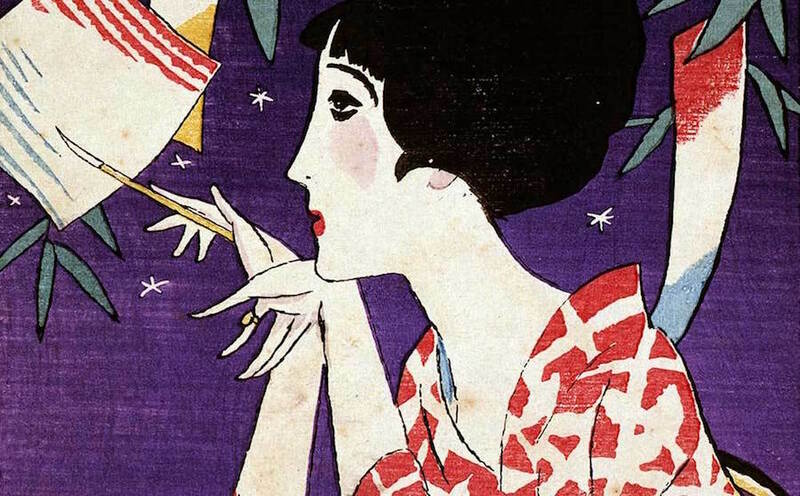 However, Tamaki kept loving Yumeji until he died of tuberculosis at the sanatorium. Hikono was born into a wealthy family of a wholesale paper store and grew up, studied at the Women’s University of Art and Design. She’s one of Yumeji’s fan and they began going out after she visited the store. 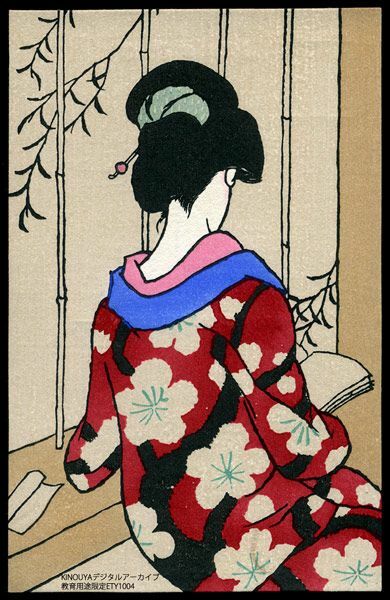 She lived with Yumeji who parted from Tamaki and moved to Kyoto for sometime, however she developed tuberculosis on the way to meet up with Yumeji who traveled to Kyushu at the time. Hikono was taken back to Tokyo by her father and he declined Yumeji to see her. She died at the Juntendo hospital at the age of 25. It is likely Yumeji loved Hikono the most and he couldn’t recover from the loss for a long time. 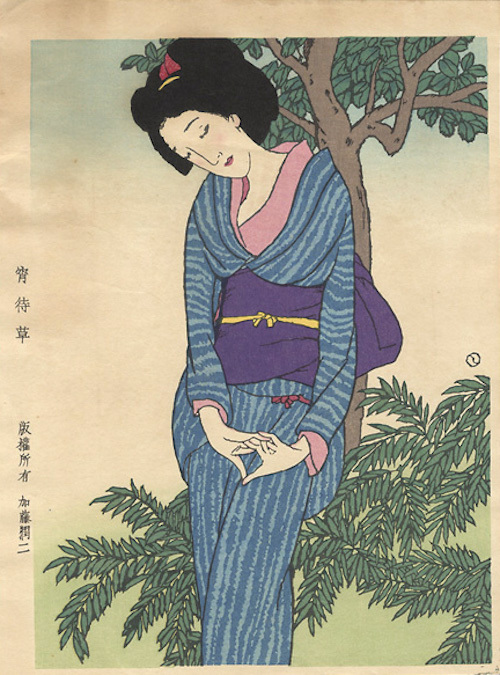 Yumeji’s most famous painting, Kurofune-ya (黒船屋) was completed at this time around. The model of a woman is supposed to be Hikono and it’s considered the black cat being held by a woman is himself. O-yoh was born in Akita Prefecture and moved to Tokyo. 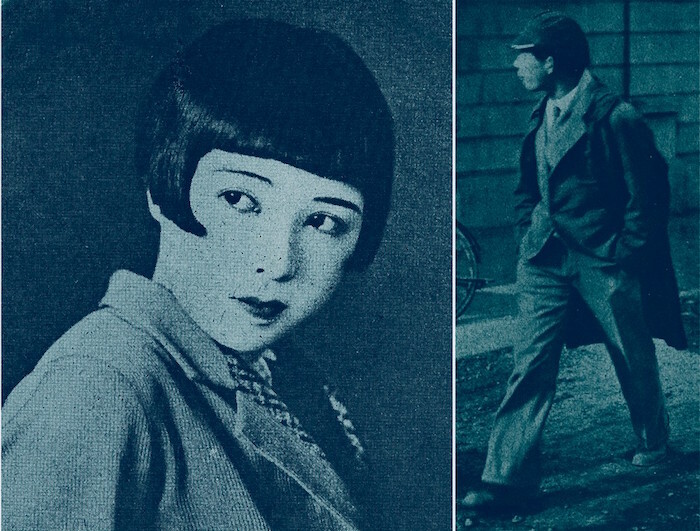 Her real name was Sasaki Kaneyo aka fibber Okane, but Yumeji gave her a new name O-yoh. She began her modeling career at 13 in Tokyo school of Fine Arts and pretty popular among students. After she worked as a model for other professional painters, she worked for Yumeji at the Kikufuji Hotel and they got together. They moved in the house with a studio that he designed in Setagaya, Tokyo and had a son who passed away soon. She tried to kill herself and they broke up. She later married to a doctor and lived happily until she died at the age of 76. Just like the Taisho period ended in short years, Yumeji closed his life before he turned to 50. The Taisho Roman and the way he lived had a high affinity since both desired full of variety while one is fickle, passionate and romantic. In hindsight, Yumeji becomes a hero of this volatile period. This exact volatility produced the women paintings with grief and insecurity in their eyes, yet look so alluring. No one can deny Yumeji’s lyrical women in his paintings keeps inspiring us today as we also live in this unstable and insecurity moment.